Sweet Annie is wonderful in a bouquet, a terrific addition to any dried flower arrangement, wonderful tucked among pinecones, pomegranates and acorns on a wreath, or as filler in a cornucopia or other arrangement. The sweet fragrance makes Sweet Annie a wonderful choice for potpourri. 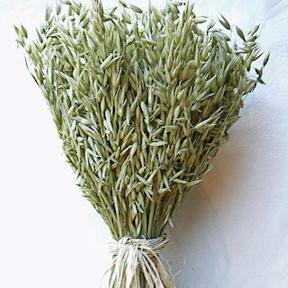 Sweet Annie has been used for years as a natural room air freshener! Sweet Annie will hold its color and last for years. 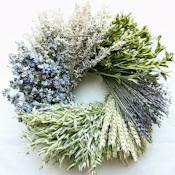 Sweet Annie is very popular for making wreaths and swags. A branch of Sweet Annie is wonderful tied with a ribbon around a gift, or tied around a decorative candle. 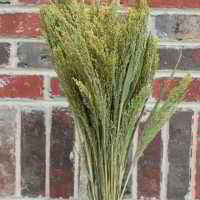 The uses for this herb are only limited by your imagination. Bring some Sweet Annie home and enjoy natures bounty. 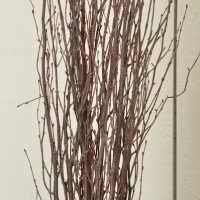 We grow our Sweet Annie for use in crafting and floral projects. 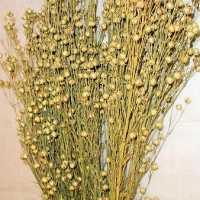 It is picked before its late fall sprout, when the branches and flowers are smaller and more compact. The little button flowers are sweet and a lovely shade of yellow. Sweet Annie never needs watering to keep it beautiful. 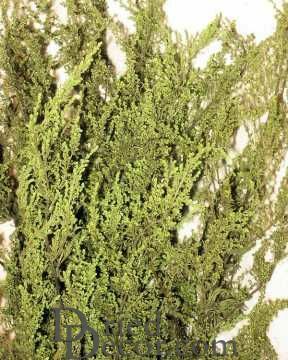 This herb makes a wonderful eye catching accent to any floral or dried decor project. Sweet Annie is wonderful in a bouquet, a terrific addition to any dried flower arrangement, wonderful tucked among pinecones, pomegranates and acorns on a wreath, or as filler in a cornucopia or other arrangement. The sweet fragrance makes Sweet Annie a wonderful choice for potpourri. 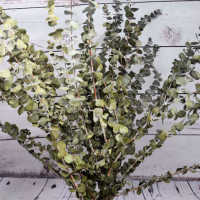 Sweet Annie has been used for years as a natural room air freshener! Sweet Annie will hold its color and last for years. 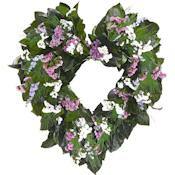 Sweet Annie is very popular for making wreaths and swags. A branch of Sweet Annie is wonderful tied with a ribbon around a gift, or tied around a decorative candle. 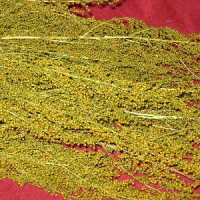 The uses for this herb are only limited by your imagination. Bring some Sweet Annie home and enjoy natures bounty. 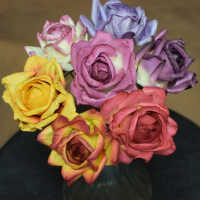 I will order again, always a crowd pleaser, they smell wonderful! Love your Company, I will order again! Gorgeous!!!! It smells wonderful and was a pleasure to work with. The order she placed was shipped to me for her wedding bouquets. I am a Floral Designer and overall very happy with the flowers I received. Perfect for what I needed it for,color was great. I was very pleased! The Sweet Annie arrived in excellent condition. Muchas gracias. Our winter will now be so much "sweetwe." I look forward to doing business with you folks again! Just what I wanted great condition and they are beautiful. I highly recommend this company I was really pleased with the condition of my purchase. I will definitely make another purchase. Thanks for your fast service as I received my order within 2 days. This is a new one for me. I'll use it as a filler. It's a bit cedar-looking, which I like. 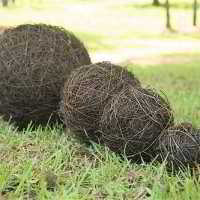 This is the first time I've ordered from Dried Decor. I am so pleased. It will now be my go-to vender. I have been searching for sweet Annie long time. Glad I found dried decor. Smell's good!!! Hanging in my kitchen, dining room, garden room. Nice size bunch. They came in a few day's. Every dried flower bunch I ordered was packed good. When I opened the box, the smell was heavenly!!! Thank you much! I will order again. Quality fine. Would order again for different project. 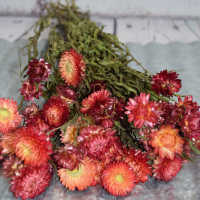 Nice bunch equals good value with flowers in excellent condition. The flowers are 5 star. Very pleased. Wished for a little more fragrance but overall, I am very satisfied. Packaged beautifully. Not one stem was broken. Curious how It will hold up. It seems delicate I appreciate the discount coupons when I have a large order. Thank you. The color and smell wasn't as good as what I remembered in the past that I have used. 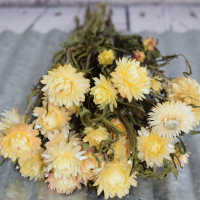 I probably won't order this dried flower again, but will purchase other thing in the future.